What Day Of The Week Is May 6? 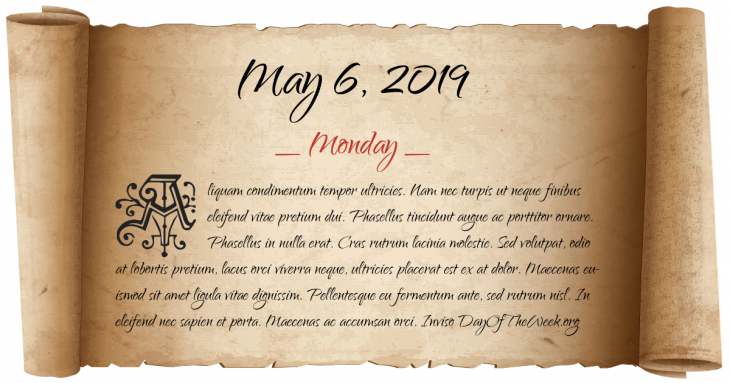 May 6, 2019 is the 126th day of the year 2019 in the Gregorian calendar. There are 239 days remaining until the end of the year. The day of the week is Monday. The Glaciarium, the world’s first mechanically frozen ice rink, opens. Former Arkansas state worker Paula Jones files a lawsuit against President Bill Clinton, alleging that he had sexually harassed her in 1991.
Who were born on May 6?